The Warmflow High Efficiency Condensing Utility Series has been specifically designed to fit into kitchen and utility room installations. 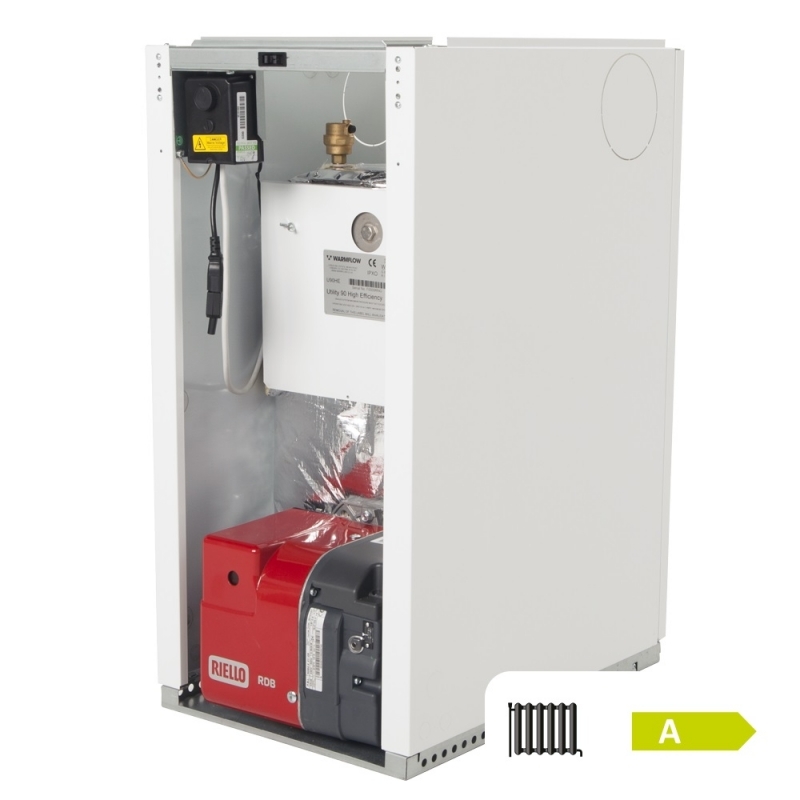 With models starting at only 865mm high and 413mm wide, the High Efficiency Condensing Utility Series is available in Standard, Pumped, System and Combi variants. The Utility Standard Boilers (UHE) are supplied with a pre-wired, factory-fitted burner and thermostat. Only one IE320 mains socket (supplied) needs to be wired on site. The multi-optional flue system can be routed through the top, back, left or right hand side of the casing.